On the water lily filled surface of Juanita bay a blue heron catches a large fish for dinner as it tries to fly away with it and the photographer, (yours truly) not ready for the action packed drama just clicks away. 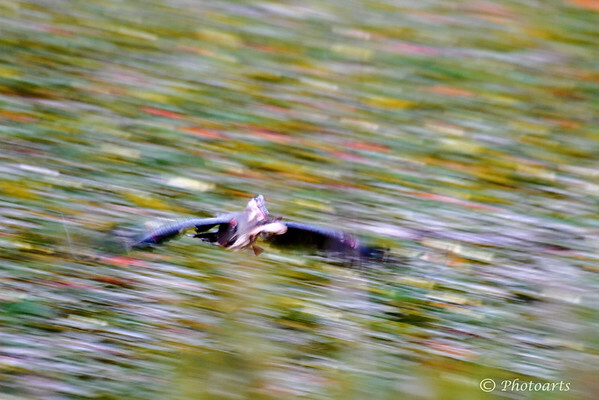 Captured at only 1/15 seconds the image should have been taken at shutter speeds a hundred times faster to freeze it but wild life awaits not such adjustments and the result is an impressionist art photograph! !